Recently, RFcnn.com has announced its new selection of coaxial surge protectors. Recently, RFcnn.com, a well-known surge protector manufacturer and retailer, has announced its new selection of coaxial surge protectors. For additional information, the company has launched a special offer on all these useful items. Now, they are all provided at discounted prices, up to 30% off. RFcnn.com is a popular brand in the current market. It offers a huge variety of protectors, including coaxial surge protectors, quarterwave surge protectors, lightning protectors and many more. Also, it is an excellent connector supplier. It has a lot of connectors in stock: SMA RF connectors, SSMB RF connectors, SMC RF connectors and so on. Its products are warmly welcomed both at home and abroad for exquisite workmanship and great performance. 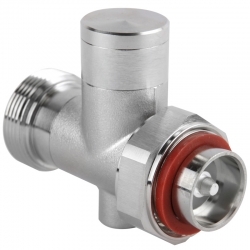 It is commonly believed RFcnn.com is a reliable supplier in the industry. All its products are of top quality and available at reasonable prices. Its online workers are always kind and patient. At its online shop, customers can save a lot of time and money. 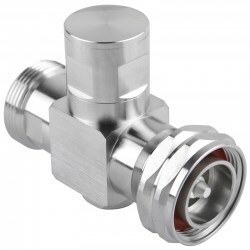 More details about the company’s high quality connectors can be found at http://www.rfcnn.com/Surge-Arrestor-Quarterwave-For-Microwave-DIN-Male-to-Female-31.html.